If you can’t wait until the City of Phoenix opens their pools and offers lessons after Memorial Day, pay to have your kids learn to swim at a private facility. There are very few skills which provide more value for the money than learning how to swim. Not only will your child be safer in the pool, but will also be less afraid on a boat or in other situations where they are around water. 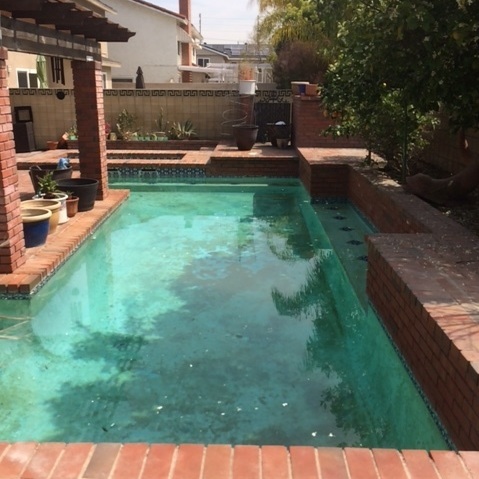 Unless your pool has a severe problem, it only needs to be acid washed every five to seven years. If it’s getting close to that, or if you’ve had issues with algae or staining, it might be time to consider having it done. Ask your pool professional about it. It’s better to get it done now and be ready for pool season than to wait. Another item to check is the pool tile. If the tile at the waterline has a dingy ring around it, that should be cleaned before the season. If you don’t have the time, your pool pro can handle that, as well. If you have a pool cleaner which isn’t working correctly, this is an ideal time to get that repaired or even replaced. It will save you time, trouble and money in the future. If you have plans this summer, either work, vacation, or something else, make arrangements for a pool care company now. That way, you know your pool will remain in pristine condition, regardless of what you are doing. Also, many people hire a pool care company when they are selling their home, so they know the pool will always look its best for showings. When the pool parties start, it’s always nice to have the rest of the yard in good condition. If you don’t do your own landscape maintenance, or if there are dead trees, bushes too close to the house, or a lawn which needs a spring revitalization, this is one of those things you can get done now before the pool season starts. Landscape debris tends to wind up in the pool, so landscape cleanup is an essential part of pool opening. If you don’t have a pool service, please look over the pump and filter for damage. Check the diving board, steps, and other features. Lights and other fixtures should also be scrutinized for signs of excessive wear, damage, or breakage. Lights offer ambiance, but more importantly, offer safety to family and guests around the pool at night. By working on these items a few at a time, your pool will be in great shape by the time pool season rolls around and the family swimmers and guests start flocking to it.